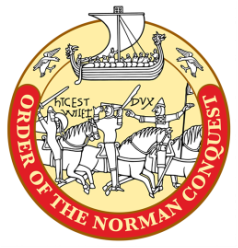 The Order of the Norman Conquest, formed in 2013, was incorporated in 2014 as a society to preserve the historical accomplishments of the Norman Invasion of Anglo-Saxon England and the genealogical lineages of those individuals who participated in these events and whose familial origins played significant roles in Europe in the centuries to follow. The Order’s intent is to provide an informative source to our members through our “Members Only” section as well as to those individuals with interest in membership in the Order. We also intend to provide scholarship opportunities for those enrolled in Medieval Studies on a graduate level. 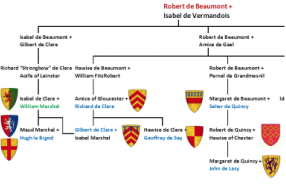 The Order was created by a group of individuals with strong ties to other hereditary societies with the idea of focusing on the link in history that brought Anglo-Saxon England closer in touch with the European continent in the 11th century. Hereditary membership is open to all ladies and gentlemen, at least eighteen years of age, of good moral character and reputation who can prove lineal descent from William I (the Conqueror) and/or one of his Companions. 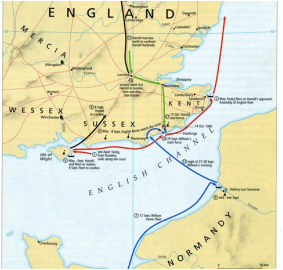 The Order was established to perpetuate the memories, accomplishments, and contributions of the principal figures who took part in the Norman invasion of England known as the Norman Conquest. The Order also collects and secures for preservation the following items: historical/genealogical research, documents, lineages and other significant data related to the events leading to and following the Norman Conquest, which changed history in 11th century Medieval England and Normandy.